Palm Commodities International was founded in 1978 to introduce high quality electroless nickel grade nickel sulfate to the surface finishing industry. 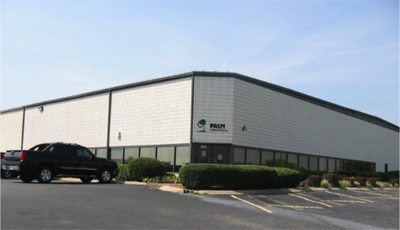 Building on this foundation of quality for over thirty years, Palm has become a premier worldwide supplier of metals and chemicals serving not only the surface finishing industry, but also the catalyst, battery, and electronics industries. Palm's growth results from a continuing commitment to provide quality products with superior service to customers. Palm is constantly expanding its product line and strives to provide comprehensive supply solutions to meet customer needs. 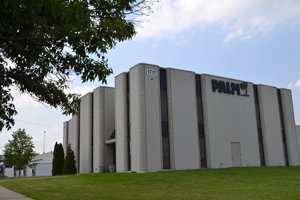 From its manufacturing and distribution facilities centrally located outside Nashville, Tennessee, Palm currently supplies over 200 products, including specialty chemicals toll blended to customer specification and metal anodes such as nickel, copper, zinc, cadmium and tin for electrolytic plating. Palm is the largest manufacturer of electroless nickel grade liquid nickel sulfate in the world, and Palm's product is the standard for high tech applications. Palm is also the largest producer of liquid sodium hypophosphite concentrate in North America. With a state-of-the art laboratory, Palm ensures customers continue to receive the quality products upon which Palm was founded. Palm's commitment to quality is also shown in its experienced personnel. Palm's staff includes metal plating veterans with the experience and expertise to advise customers on products for various applications and develop unique solutions. In late 2013, Palm became a subsidiary of Umicore USA Inc. and joined Umicore's Cobalt and Specialty Materials business unit. Founded for quality and established through superior service.